We are excited to bring a designer spotlight to you. Bria Hammel of Bria Hammel Interiors is another designer local to The Tile Shop’s Minnesota home base, but she’s been making big waves all over the country. From her dreams of going global to staying true to her traditional Southern style, read on to learn about the woman behind Bria Hammel Interiors. I went to college at the University of Kansas where I started out studying business and then switched majors to interior design. During that time, I had an internship working for a residential and commercial interior design firm. The designer had a showroom where she sold furniture and accessories, so I was able to see the retail side of things, too. It was great because I got a lot of experience trying out all different areas of interior design and it helped me hone in on what I was passionate about. I worked there for a few years until my family convinced me to move back to Minnesota where I took a job as an interior designer at Ethan Allen. Retail was a great way to meet a lot of vendors, like fabric reps, manufacturers and other designers. The experience exposed me to a lot of different parts of the business. After about a year, I got promoted to design team manager at the Edina location. Being a manager gave me a lot of training for running a business and what the financial side of that involves but it was also completely related to the design industry. Once I got married, I didn’t want to work crazy retail hours anymore, and I went to work for a high-end interior designer who was just starting her business. She brought me on as a design assistant to help her launch the business. It was amazing to be along for the journey of watching a business grow. It also helped sealed the deal on the relationships I didn’t have when I originally moved back. Once I had my son, I knew I wanted to stay home with him and start my own business, and I started Bria Hammel Interiors in 2012. Did you always have an eye for design? You said you started school majoring in business and made the switch to interior design. Did you just realize that’s what you wanted to do or how did you decide to make that change? My mom was a serial house flipper when I was growing up. She’s a physician, but she loved to buy houses in her spare time. We probably lived in ten different homes when I was growing up. I always refer to her as a closet designer! I grew up furniture shopping and hanging out in wallpaper stores with her, but I never thought being a designer was an option. When I went to college, everyone started calling me a young Martha Stewart because my room was the nicest out of everyone’s in the house. At one point, someone asked me why I wasn’t planning on doing that for my career. And I thought, “That’s a good idea, I think I will.” And I changed my major that semester. Featured: Octagon Matte White with Black. 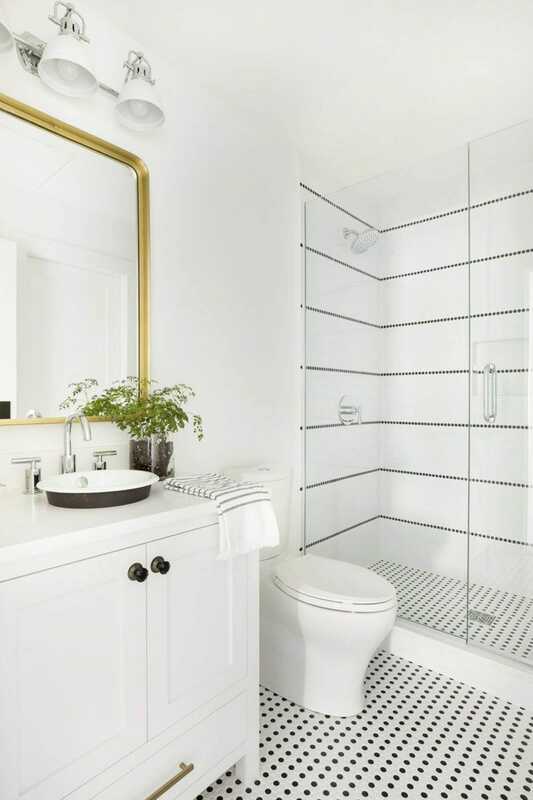 Read more about designing with black and white tile on our blog post. What do you see as the Bria Hammel Interiors vision? We want to become the go-to design firm in the country. I hate to limit us to just being local because our biggest projects are out of state. We really are passionate about residential interiors from the ground up. Our favorite projects are when we can help the client design the home and then decorate the home. We want to be that brand that everyone knows. We started a new product line called Brooke & Lou in August. That’s the company I’d love to scale and build into a bigger business. I think there’s a larger need in the market to have places where people can get a designer look without having to hire one. That’s a big part of why we launched Brooke & Lou—so we can offer our look and style to anyone who wants it. We wanted to fill a need in the market for fashionable designs that were durable and family friendly, too. 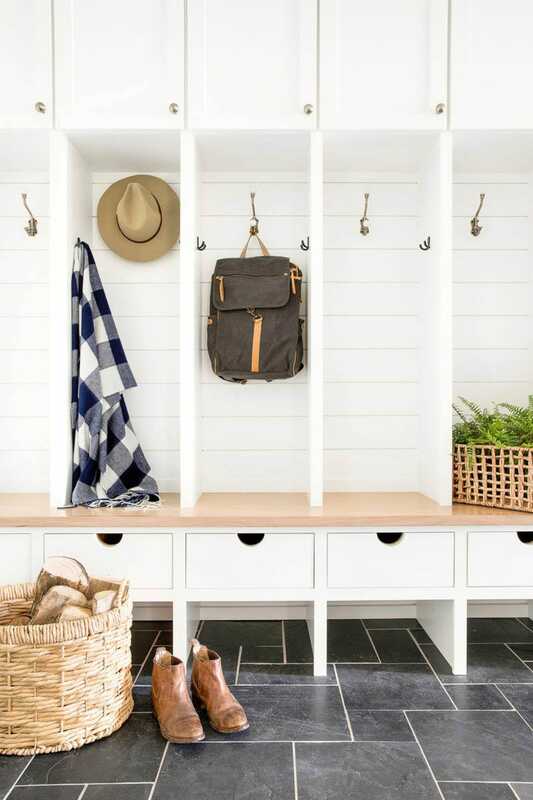 A lot of these products are what we’ve trademarked as “life friendly.” I feel confident saying someone can put them in a home with a 3-year-old and they’re going to withstand wear and tear without sacrificing style and beauty. Do you have a signature style, something that makes someone say, “That’s a Bria house”? 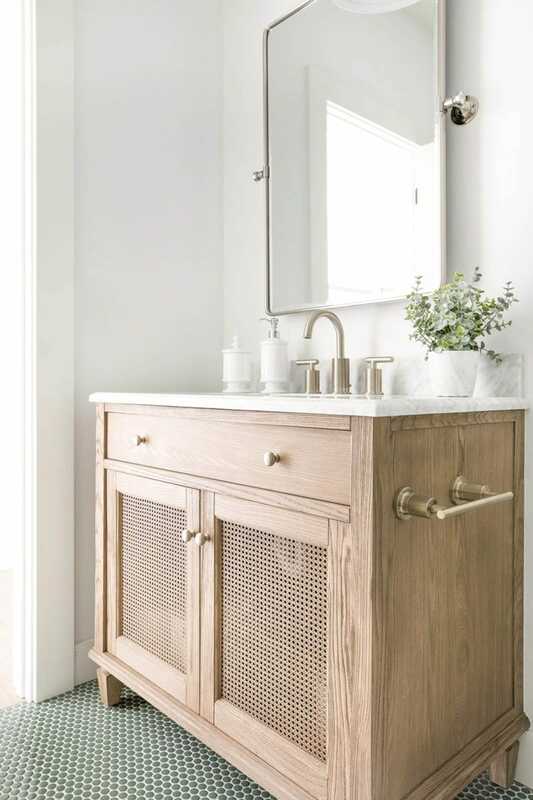 I would say we’ve kind of skimmed by this mid-century modern trend and stayed true to our roots of a fresh, young take on traditional style with a little southern mixed in. Our style is color, preppy and fresh but classic enough that it doesn’t scream 2019. We don’t design to trends. We design to our style and our clients’ styles. It’s a similar aesthetic but it also varies a lot. That makes sense. That’s what your clients discover you for, your style, so that’s what they want. Right, it wouldn’t make sense to change it completely. They come to us because they love what they’ve seen. Bria Hammel Interiors does new construction, remodels and decorating projects? Yes, and we’re starting to get into some boutique commercial design, too. We’re willing to take on these projects as long as the vision is high design. We’re not working with cubicles but with a livable, more residential feeling space. Do you prefer starting from scratch or is it refreshing to simply decorate? We love to start from scratch because that’s when we can be the most creative and we can push our clients to think outside the box the most. But there’s nothing like a really good decorating project where we have a really beautiful palette and we make it feel livable, functional and usable. If you have a turnkey project, what is that process like? Where do you start, find inspiration and decide what that vision is going to be for that specific home? It’s so important for me that what you see from the outside is a reflection of what you see on the inside. I don’t like walking into a home and thinking, “Whoa, I was not expecting these paint colors or this furniture.” That is always the number one indicator of what we’re going to do—the architectural details and the exterior elevation. From there, travel is probably the number one place I seek inspiration. I’m always picking up things for a project or finding amazing things I have to have. So, as far as what we include in our designs, that’s a big piece of it. On Brooke & Lou, we have a collected section that’s all one-of-a-kind antiques and pieces we find on our travels. People don’t have to travel the world to find these pieces—we find and curate them on our website. As far as our process goes, it’s always really important to have our clients share inspiration with us. There are a lot of different things we can do within our style, so it’s so important to incorporate the look they want—whether it’s formal or casual, high contrast, more neutral, more colorful and anything in between. We lean heavily on client onboarding meetings to bring in their inspiration like magazine clippings, Pinterest boards, Houzz pages, blogs or even a piece of fabric they’ve always loved—whatever inspires them. Is there a favorite part you have about designing a home, like a certain room or using a certain material? Anything that’s a highlight from house to house? I wouldn’t say I have a favorite room to design. We just did this under-the-stairs bookcase nook and, in an 8,000 square foot home, it’s one of my favorite spaces. To me, it’s about finding these spaces where we can make a big impact, those moments where people aren’t expecting to see so much beauty. It makes the space feel really special. What’s your dream client or project? I have two. As far as location, I would love to do a large home in Europe and get more into international design. And I’d also love to design Reese Witherspoon’s house. She’s very on brand with us. Was that a coincidence or planned? Do you have any favorite Tile Shop tiles you find yourself coming back to and using over and over? The one we used time and time again is the Hampton Carrara marble collection. It’s so classic and we can have a lot of fun playing with the installation. 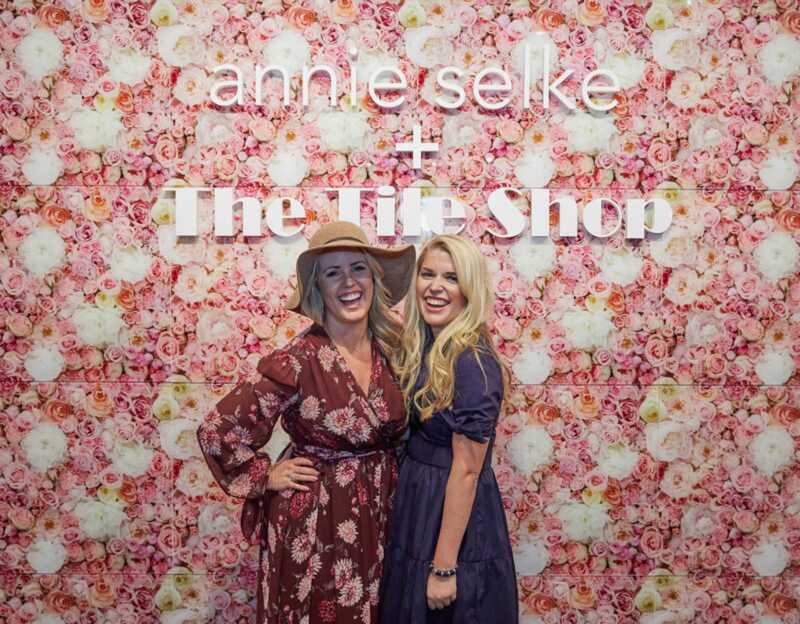 I also love the Annie Selke collection. At the New York City launch event, I got to speak with Annie. I love how color is infused in the collection. It’s not over the top, and it’s usable in a lot of different styles of homes. You don’t need a lot of it to make a big impact. The line allows us to play with design and get creative. I was really impressed with that collection. Do you have any tips or anything you’ve learned throughout your years working with tile? 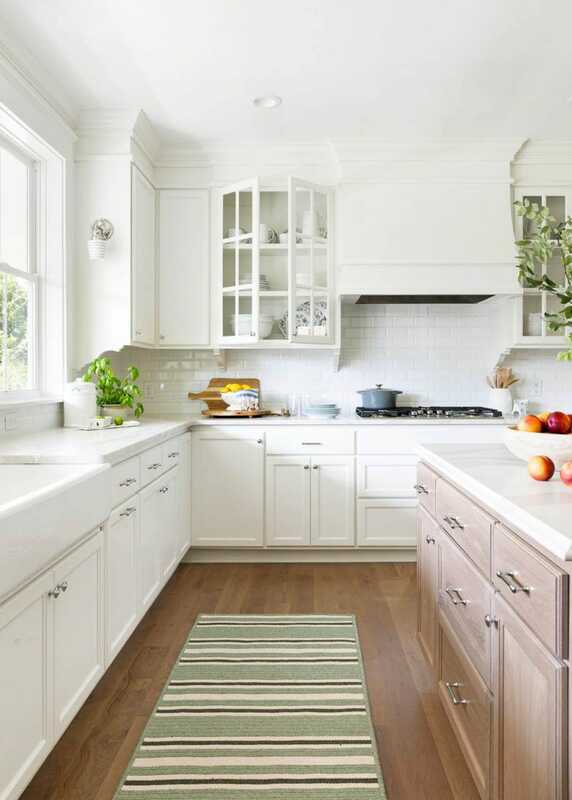 A lot of people don’t know how to pick tile out or whether to choose things like cabinets first or tile first. What have you learned? 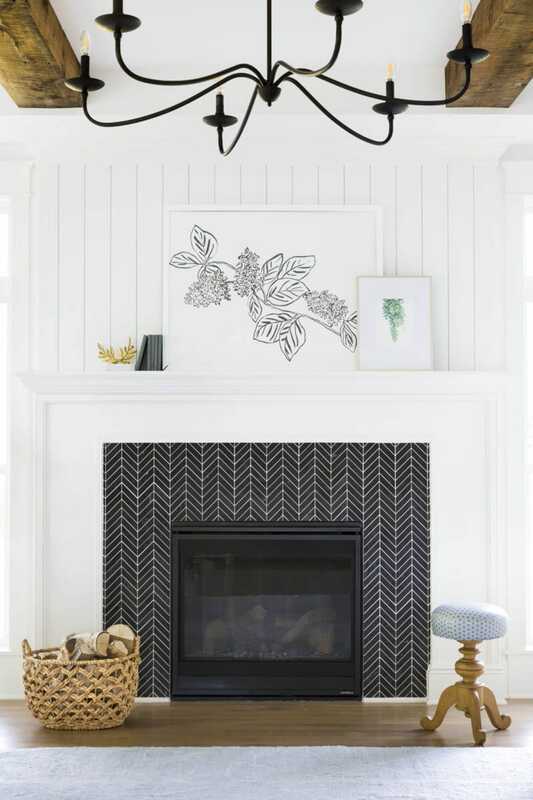 We like to start with tile, especially in those spaces like a bathroom or on a fireplace where we use a lot of it. One thing we’re always telling our clients is to push the envelope with their tile installation and think outside the box. 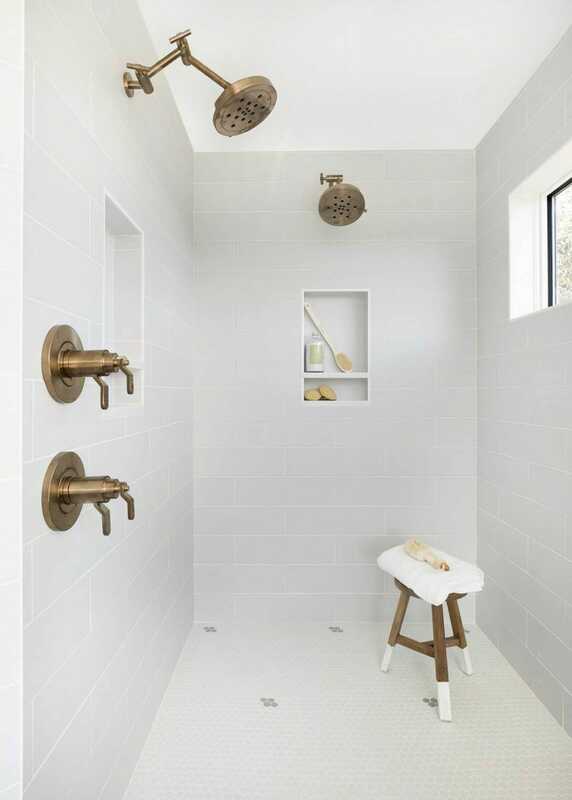 With subway tile, people often default to a classic brick pattern. But if we install it in a unique pattern, we can get so much more impact. 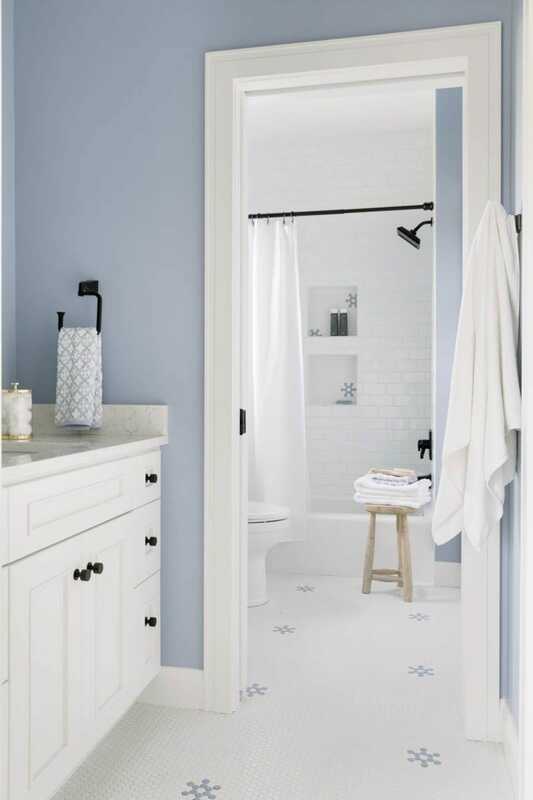 Just thinking of different ways to use the tile makes the space feel so much more special. If you’re thinking about going to school for interior design, make sure to try everything out. There are so many different avenues. You can work for a brand manufacturer or a commercial or residential designer, but use your schooling and internships to test the waters. Then when you graduate, you can start out where your passion is. The more you can expose yourself to the parts of the business, the better you’ll be when you’re out of school. I love The Marvelous Mrs. Maisel. I love the fashion and interior design in that show. What is your favorite hobby when you’re not working? Hm, do I have a hobby? I feel like work is my hobby! I guess I’d say traveling. But work really does feel like my hobby because I love it so much. Probably Reese Witherspoon! (We had a hunch she’d pick her!) She just feels so grounded and down to earth. I feel like I’m her best friend, and I’ve never met her before. I love that she’s an entrepreneur, too, and she’s found ways to share her passion and make money. She just has a very approachable style. If you weren’t doing what you’re doing, what would your career be? Oh my goodness. I would probably be in some kind of business management role. I love the business side of this job, crunching numbers, figuring out how we can grow, what’s working, what’s not working and putting new systems in place to make us better. Thanks for chatting with us, Bria! 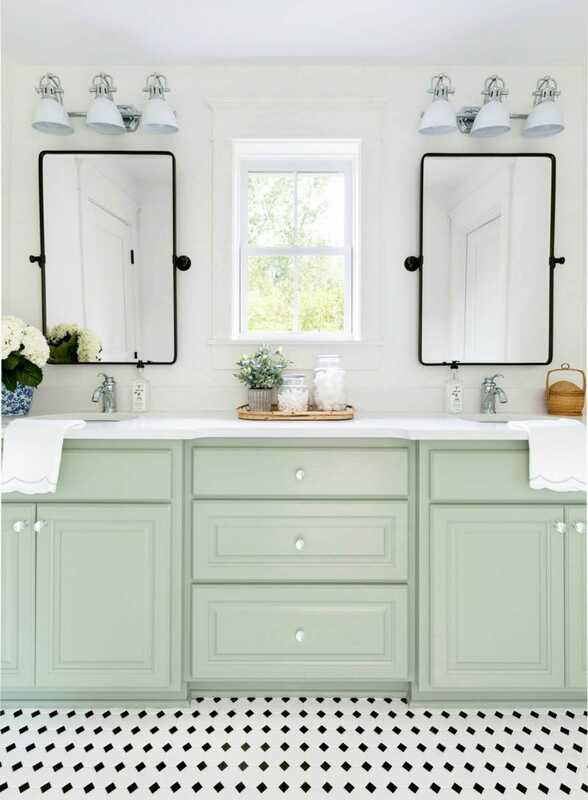 Keep up with her adventures in design on her Instagram, Houzz and blog.